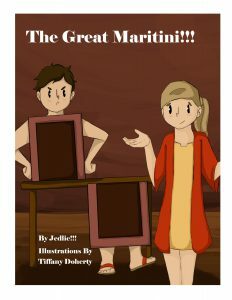 Check out The Great Martini, A fun and touching story about Sam, a lovable but far from perfect magician who learns that the greatest transformation is transforming feelings of caring into action to help another human being. The Great Maritini, as an exclusive amazon e book. Please click here to get your copy today. Hello everyone, Today, we’re very excited to welcome back author Debbie Roppollo on the Reading with Your kids Podcast! 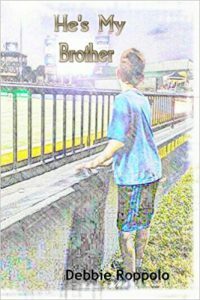 Debbie is joining us to talk about her new book He’s My Brother which describes an autistic child from his brother’s point of view. Listen as Debbie talks about effects of Autism on young children, how it impacts families and especially siblings the most. Debbie also gives some great advice for Parents of Young Autistic Children. If you would like to learn more about siblings and autism then be sure to Tune in! Award-winning author (and sometimes illustrator) Debbie Roppolo grew up in the Blackland Prairie region of Texas, where miles of grassland and her horse stimulated very imaginative adventures and served as writing fodder for later years. She had to do something with those memories; having tea parties with chickens was too good to keep to herself. After her younger son was diagnosed with autism, Roppolo and her husband co-founded Central Texas Autism Network, a network for persons who may have a relative or friend diagnosed with Autism, or professional that may deal with Autistic persons. She serves as an advocate for people with autism through her writing, by speaking to groups, and spreading awareness as various health-related functions. Cooking is her second passion, and Roppolo holds the honor of being an eight-time award-winning baker. Married for over twenty-five years, she resides in the Texas Hill Country with her husband and two children. The diagnosis of autism devastates every member of a family, sometimes impacting siblings the hardest. Twelve year-old Jonathan Roper is no exception. Forced to move away from everything that he’s familiar so that his younger brother Cameron can get better services, Jonathan feels alone and forgotten. Can he overcome his feelings of resentment and sadness, or will Cameron’s autism drive a wedge between the brothers that can’t be overcome? This book also contains answers to frequently asked questions, a resource page, and more. Be sure to Listen to this episode & feel free to share it by using the social media buttons at the bottom of this page! Finally, where can we find Debbie? Read NextBeing the Best You!